Goth Shopaholic: Lenore Will Keep My Money Safe! Lenore Will Keep My Money Safe! 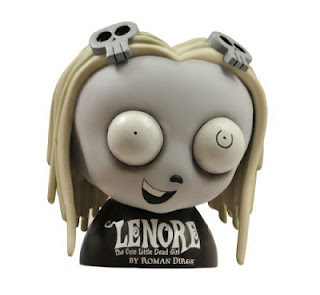 I love the idea of storing my coins in this Lenore money bank. Surely The Cute Little Dead Girl will inspire me to save up my nickels, dimes and quarters. Perhaps this should be my Bats Day at the Fun Park savings bank!